Call me Captain Obvious but I’m starting to think that manufacturers have taken a bit of a liking to previewing their new car courtesy of this unpleasant method. It’s either that or the authorities that manage design patents and such have gotten some seriously passionate people hired recently and they’ve been leaking new cars to us. The latest in a line of such “unveiled” new car design is what the Japanese plan to do with the 2012 Honda CR-V.
As with most of Honda’s designs of late, nothing extremely surprising has changed between the 2011 CR-V and this one and even less on the CR-V Concept that previewed it. 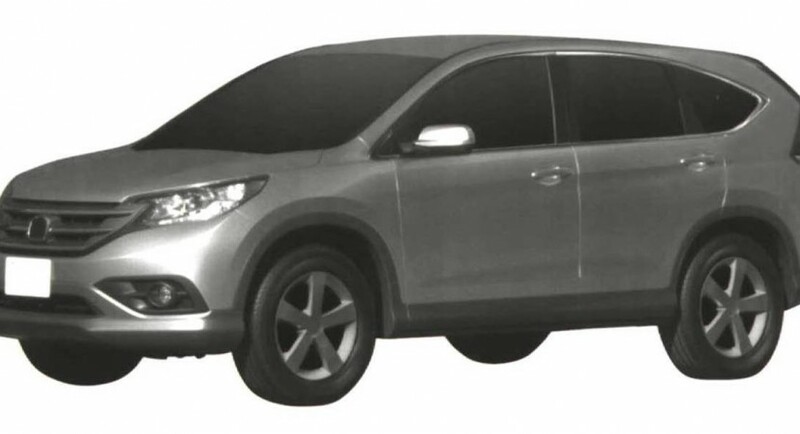 To sum up, it turns up that the rumors had been true, there’s a new Honda CR-V in the works and since they’ve already filed the patent on the design it’s very likely to be replaced as early as this fall. That also probably means there’s just little work put into the underpinnings and what’s under the bonnet of the 2012 Honda CR-V.
To that end we should expect to see the traditional 2.4 liter four-cylinder engine with a host of small tweaks to make for better fuel economy, better performance and slightly better emissions. Some of these improvements will be down to a new six speed automatic gearbox and some new equipment that Honda will likely bring to the new CR-V so that it feels as modern as possible.